This is a sub-frame taken from near the center of PIA02843. 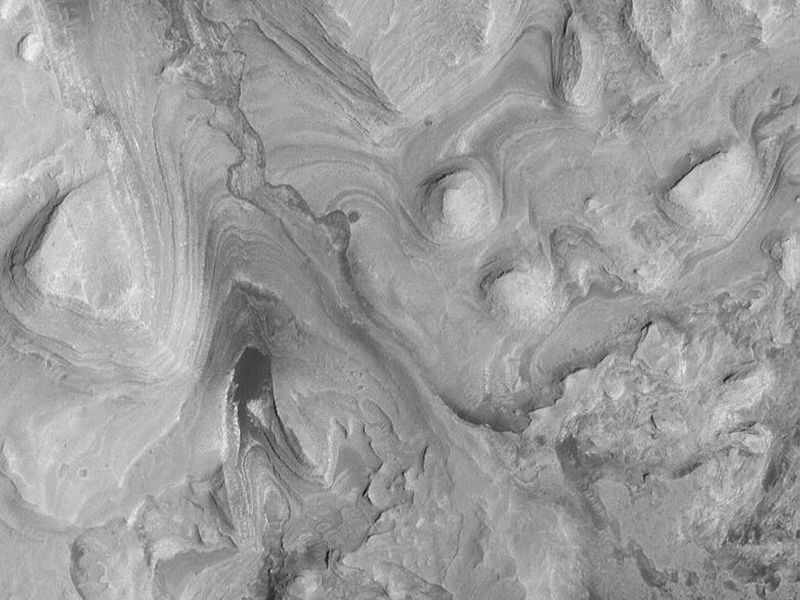 Like the larger image, it is oriented with north toward the lower left. 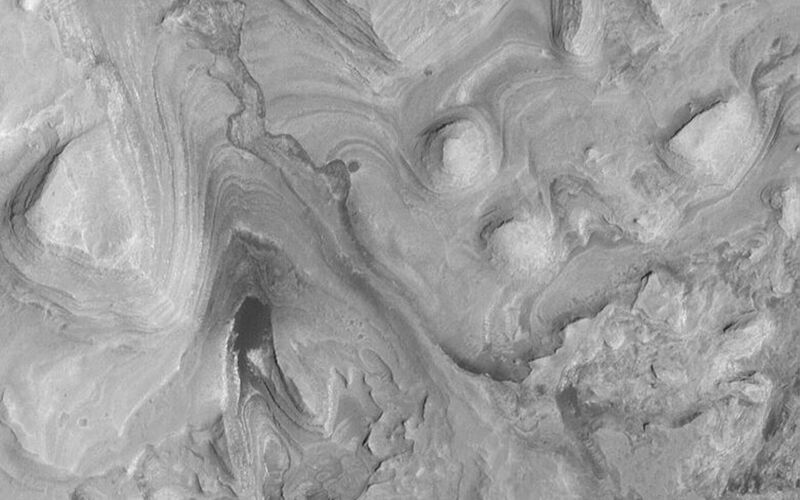 This area shows the thinly-bedded lower units of the Gale Crater mound. 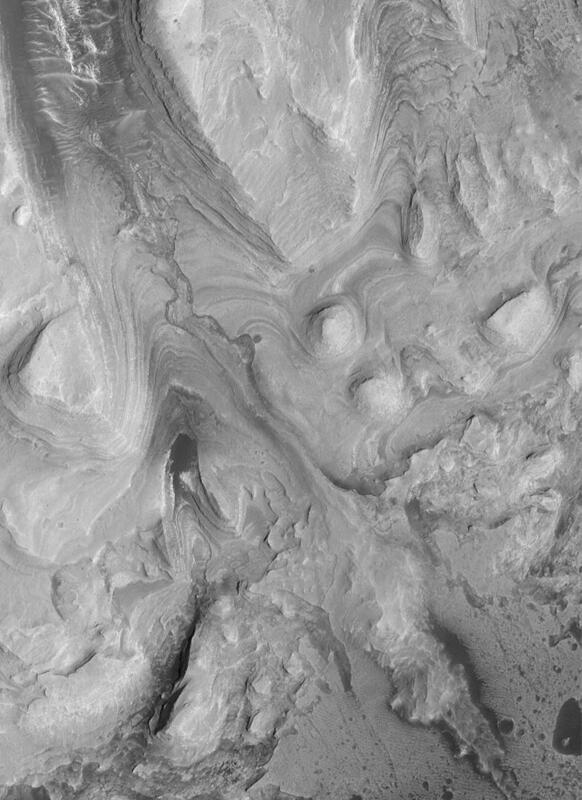 The lower part of the mound has hundreds of thin (2-5 meters; 2-5 yards thick) beds of similar thickness and properties--in this regard, the lower units are similar to the beds observed elsewhere on Mars, such as in southwestern Candor Chasma. The most striking feature in this sub-frame, however, is the area labeled "filled channel." This is interpreted to be a channel that was cut into the layered rock some time in the past. Perhaps it was cut by running water. Later, the channel was filled and then completely buried by additional sediment. 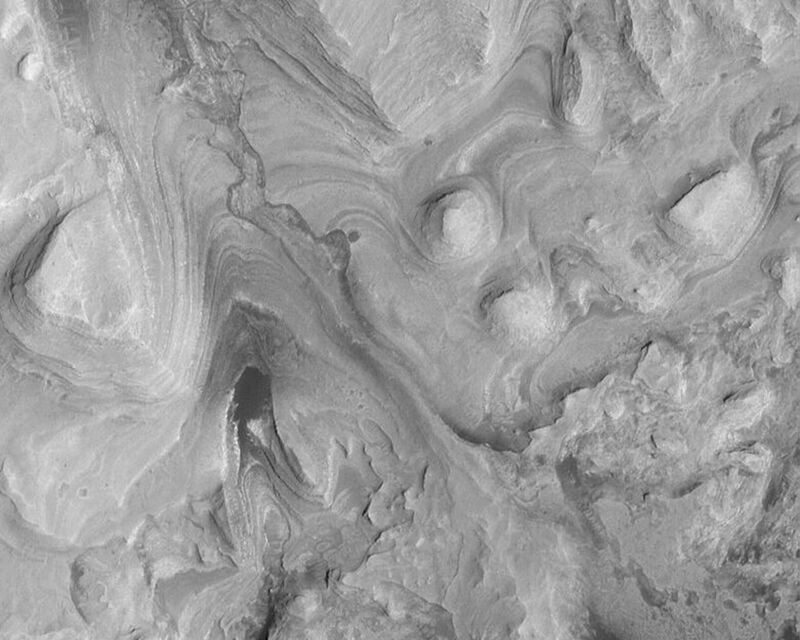 At an even later time (closer to the present, but still very ancient), the material that buried the channel was stripped away, leaving a filled channel that, at its lower end (from center toward lower right) actually stands as a ridge higher than the surrounding terrain. This channel attests to the possible erosion of the layered rock by running water. It also indicates that there was a period in the past when the rock was eroded before being covered-up again. Such evidence and interpretations are pieces of the story of this area.